Responsible governance requires a top-notch government workforce. My topic deals not with the substance of regulations, but with those who process them. “Bureaucracy” and “bureaucrat” are loaded terms, often thought to be pejorative, as in oppressive, unenlightened, and bloated. But my use of the terms is intended to be complimentary. It recognizes that regulations don’t implement themselves; “principled agents” (to borrow a phrase from John DiIulio) do. Today, we seem to have forgotten some of the hard lessons learned during those periods. Indeed, we are coming uncomfortably close to a neo-spoils era at the state level and are dancing around the issue at the federal level. So why, after five years of government service at the Administrative Conference of the United States (ACUS), has this become my theme? First, I have developed an enormous respect for the career officials I come into contact with. Second, I have always subscribed to the notion that whatever your political goals, pro- or anti-regulation, nothing can happen without responsible governance. Thus, for me, it’s an obvious proposition: we must hire, promote or cull, and support people who do the difficult job of public administration. Professor Cary Coglianese moderates discussion following Chairman Verkuil’s lecture. By recent count, 28 states have gone to “at-will” public employment. As any law student who took Contracts knows, for most states at-will employment is the default proposition. This makes sense in a free market economy because you want capital and labor to be efficiently allocated. When applied to government, however, it’s a harder call. There are very few civil service protections for officials in at-will public employment states. The motivation is to make those officials more accountable by making them more replaceable, but the net effect may be to de-professionalize the public workforce. One telling example involves North Carolina where, after civil service protections were watered down by statute, the governor reduced the professionals at the North Carolina Department of Environment and Natural Resources (DENR) from 179 to 24. His timing was unfortunate, to say the least. Just as the professional staff was decimated, a major coal ash spill by Duke Power into the Dan River occurred, and the agency was unable to respond effectively. To complicate matters, the governor had formerly worked for Duke Power for 28 years. In retaliation, the legislature deprived him of appointment authority over the DENR. For me, the lesson is that professionals matter. 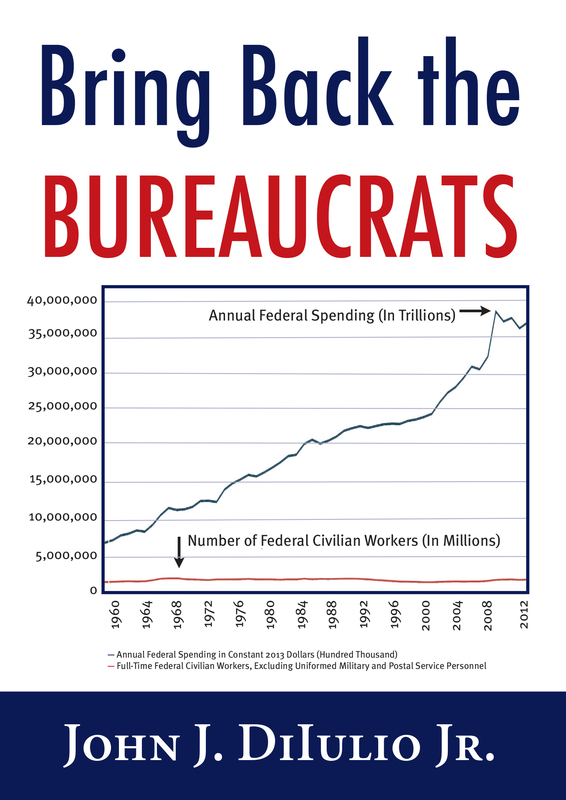 Whatever you feel about the “dreaded bureaucracy,” it is essential at critical times. And certainly better than a jerry-rigged legislative alternative, which the North Carolina governor is challenging as an unconstitutional invasion of his executive powers. At the federal level, let me focus on the Senior Executive Service (SES), those 7,900 officials who serve in most government agencies, 90% of whom are career employees. Let’s put aside the broader questions of civil service reform, which Government Executive magazine correctly characterized as a system where you “Can’t Fire and Can’t Hire.” That is a ruefully true statement, by the way. The SES are senior managers who, through competitive steps, have become leaders in their fields. As a former university president, I like to compare them to faculty, those who, through devotion to their disciplines, provide the institutional structure that preserves, transmits, and expands knowledge. To get smart people to make this intellectual investment, inducements like job security (or tenure in the university) are provided, for good reason, I believe. This doesn’t mean there aren’t abuses. Of course there are, in both academia and government, as the recent scandals at the U.S. Department of Veterans Affairs (VA), the Internal Revenue Service, and the U.S. General Services Administration attest. Matthew Lee Wiener, Executive Director of ACUS, listens to Chairman Verkuil’s remarks. The SES has come in for special treatment as a result of the VA scandal. Congress was anxious to let the new Secretary of Veterans Affairs quickly discipline the officials involved, some of whom had SES status. Thus, legislation abrogating SES hearing rights was passed and signed by the President. It provides seven days to appeal adverse personnel action and 21 days for a decision by the U.S. Merit Systems Protection Board (MSPB). (Ask any lawyer if she could adequately represent a client under those time constraints.) There are now those in Congress who want to expand these limitations to SES officials at all agencies. ACUS is monitoring the situation at the MSPB, and I won’t comment further at this time. Oversight and accountability are essential, but overreacting to selected SES failures can produce unintended consequences. One is that government could be deprived of its institutional memory. Since nearly half of the SES are eligible for retirement, they may feel that the fight isn’t worth it anymore and leave government. Replacing them is no easy task. Let me lay before you another problem, one that John DiIulio labels “Leviathan by Proxy.” John has a killer chart on the cover of his book that shows that since 1960, annual federal spending has increased fivefold, but the number of federal civilian workers has remained flat at 1.8 million. Essential agencies like the Office of Information and Regulatory Affairs have suffered a significant shrinking of management personnel. In addition, during this period numerous large agencies, like the U.S. Department of Homeland Security, were created, as were new assignments, like implementation of the Affordable Care Act, without any increase in employment. How is this possible, you ask? Well, contractors fill the gap. The heightened use of contractors, a subject I once wrote about under the pointed title Outsourcing Sovereignty, is hard to ignore. No one knows how many contractors there are in the federal government. Estimates seem to be in the range of about 5 million. A few years ago, Robert Gates, the Secretary of Defense, was embarrassed to say he did not know how many contractors worked for the U.S. Department of Defense. We do know the overall contract services budget, which is over $250 billion annually. This is about the same amount we spend on all civilian government employees. Think about that: 50 percent of government personnel expenditures are for employees in the private sector. Government is really a public-private partnership in ways not fully comprehended. Now obviously, some functions should be outsourced. Like businesses, government also faces “make” or “buy” choices. Jobs should be contracted out for efficiency and expertise purposes. Thus, the Federal Emergency Management Agency must expand in size when a crisis occurs. But continuing oversight must remain in the hands of government officials. And some choices not to outsource are head scratchers. Did you know there are more members of military bands than foreign service officers? And their pay is about the same. Last summer I went to the President’s lawn party (which was well mowed by contractors, by the way), and the Marine jazz band was performing in their dazzling uniforms. While they sounded good, it occurred to me, as a former New Orleanian, that I could go to the French Quarter and round up a superior jazz group for a fraction of the cost. I’m only half serious here, but you get the idea. Choosing between government employee and contractor takes judgment, and then perseverance. Jessica Bassett, The Regulatory Review‘s 2014-2015 Editor-in-Chief, introducing Chairman Verkuil. Mostly, the outsourcing machine works in the opposite direction, of course. When agencies like the U.S. Department of Energy and the United States Agency for International Development outsource a high percentage of jobs and where assignments like strategic planning are no longer run by government officials, something is amiss. Just imagine how weak an agency must be if it cannot do its strategic planning in house. The line that should not be crossed is found in the Office of Management and Budget’s Circular A-76’s “inherently governmental functions.” A good study on where that line falls is long overdue, even though it is very hard to draw. Recently, Jon Michaels stated that government’s intrinsic worth must be recognized in its own terms, and this very much means restoring the line that divides contractors from government servants. So where does this leave us? Despite these problems, there are great jobs in the federal government for bright people. They are not so easy to find, but once you find one, you will be rewarded. The difficulties of navigating USA Jobs are well known and should be fixed, as Government Executive magazine notes. The important thing is to get your resume in front of the right people. To make that happen, do some interning with your favorite agency. We have hired wonderful young lawyers at ACUS, and we hire interns and fellows. I encourage you to sign up for government service. And do me a favor when you get inside an agency: help us puzzle out why there isn’t room for more of you. Like was said during WWII: Uncle Sam needs you! This essay is the first in a four-part Regulatory Review series, Good Government Requires Good People.